Conch Flyer bar in Key West. Flyte had filed a flight plan for the Azores, although that was not believed to be his final destination. The remains of Flyte¹s 1969 Piper Cherokee were found a few days later in the Atlantic, but the life raft, a manual Smith Corona, and his collection of bespoke cashmere flannel suits were missing. 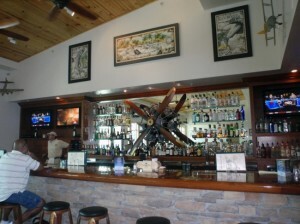 The Conch Flyer bar has named the pisco sour the “Magnus Flyte” in his honor, as it was/is his favorite beverage. Here, Magnus’s profile can just be made out in the mirror behind the bar, next to the Patron Anejo.